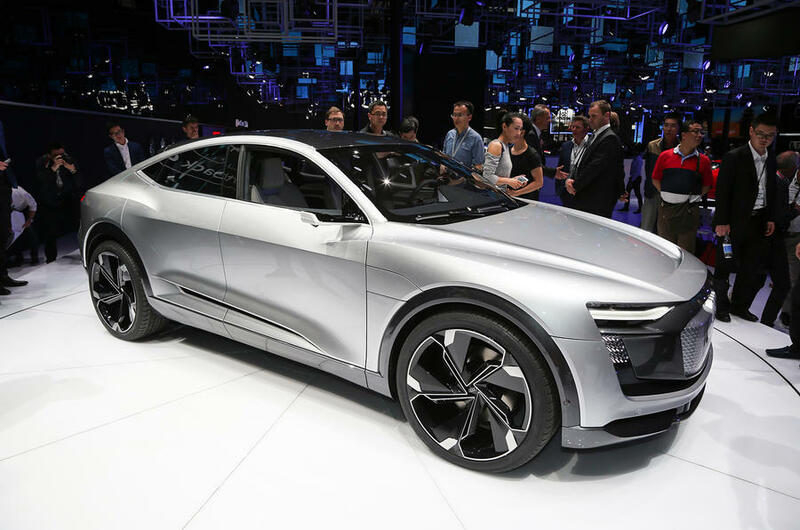 Audi CEO Rupert Stadler has revealed that a fleet of autonomous cars will enter production in 2021 based on the Audi Aicon concept, one of two AI-equipped concepts revealed at the Frankfurt motor show last year. It's not yet confirmed how many of the cars will be made, but as a pilot project, volumes are unlikely to break three-figures. The project, which coincides with the year Audi's 'vorsprung durch Technik' phrase turns 50, will put the Aicon (the less SUV-like of the two concepts) to the test, although it's not yet known if the project will be public, or an internal Audi affair. 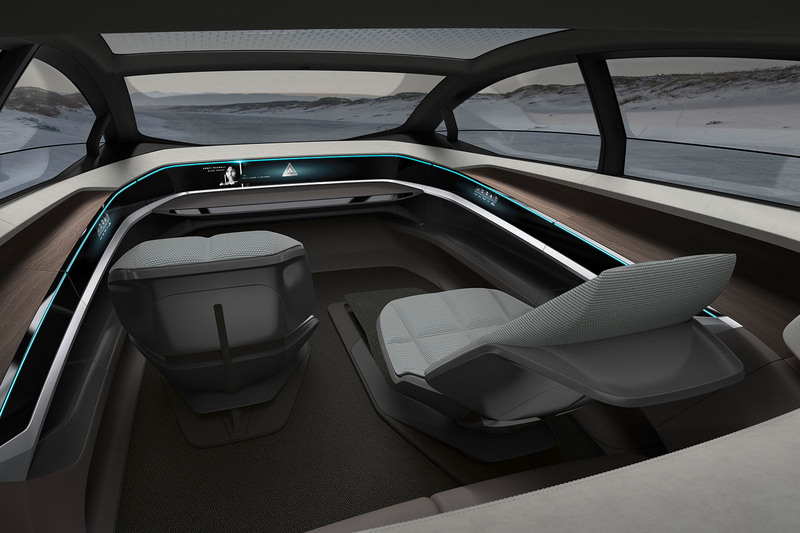 The brand revealed how recent advances in artificial intelligence are already shaping its vision for the car of tomorrow with the unveiling of two high-tech mobility concepts, the Elaine and Aicon. Made public on the eve of the 2017 Frankfurt motor show, the electric-powered Elaine SUV and Aicon saloon have been created to showcase technologies being developed by Audi for inclusion on upcoming production models while providing clues to how driverless cars may look in the future. Styled at Audi’s main design studio in Ingolstadt under design boss Marc Lichte, the two highly automated concepts are described as the most advanced ever undertaken by the German car maker with assistant systems that draw on artificial intelligence, the latest in machine learning and car-to-x communication technology to network them with infrastructure and other road users, in the process allowing occupants greater freedom and time for themselves by providing fully autonomous driving functions. The Elaine has been conceived to show how artificial intelligence technology will influence the next generation of Audi models with Level 4 autonomous driving technology. It includes a remote parking function that allows the driver to step out and watch as it parks itself in a multi-storey garage or positions itself in parking bays for recharging of its battery. 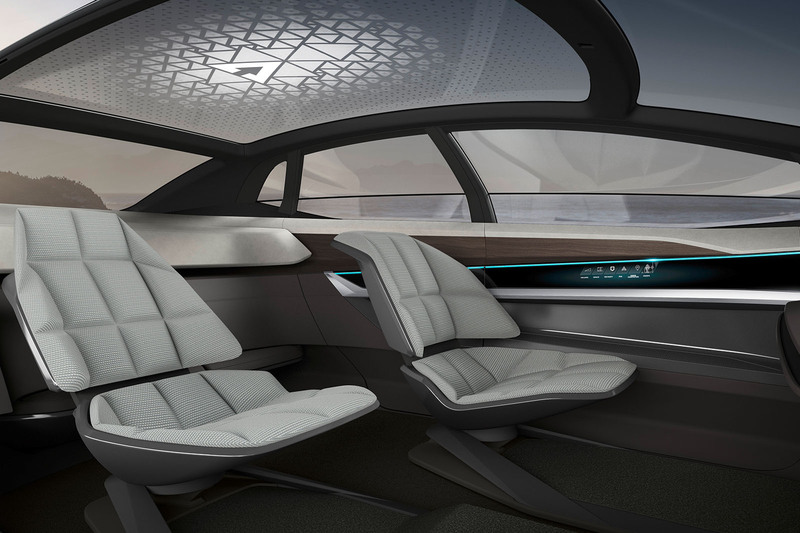 The Aicon looks further in the future with an interior devoid of a traditional cockpit, steering wheel and pedals to create a luxurious lounge-like environment offering the very latest in digital infotainment and communication solutions. It incorporates Level 5 autonomous driving technology that Audi says will bring about a dramatic reduction in road accidents in the future. Stylistically, the Elaine builds on the look of the e-tron Sportback concept revealed at the Shanghai motor show in China and is claimed to provide the best hints yet to Audi’s second series-electric model due out in 2019. At 4900mm in length, 1980mm in width and 1530mm high, it is 237mm longer, 87mm wider and 129mm lower than the recently introduced second-generation Q5. It also uses a wheelbase that is 111mm longer than that of Audi’s popular mid-range SUV, at 2930mm. Power for the Elaine comes from a production-based electric driveline Audi says will be used by future zero-emission models. It uses a combination of three electric motors, with one mounted within the front axle and two at the rear. Together they provide four-wheel drive capability via an electronic quattro system with a torque-vectoring function for each individual wheel. The three electric motors deliver a combined 320kW of power, with a so-called boost function allowing momentary bursts of up 370kW, according to Audi. Hinting at the acceleration potential of Audi’s second commercially available production model, the Elaine is claimed to sprint from 0-62mph in 4.5sec. A large 95kWh lithium ion battery is said to provide it with an overall range of up to 311 miles between recharging. Conceived to show how a self-driving Audi model may look beyond 2025, the Aicon eschews what Ingolstadt officials describe as the 'robot taxi' theme evident on many recent autonomous driving concepts for a bold exterior design incorporating reinterpreted elements from its current line-up, including a newly wrought single-frame grille, prominent wheel houses and a rounded glasshouse. A low waistline and glass roof are included to maximise visibility out of the new concept. The top of the side windows also angle outwards, so the widest point of the Aicon is at the eye level of its occupants. Hinting at a car in the same class as the A8, the Aicon stretches to 5444mm in length, 2100mm in width and 1506mm in height. It also rides on a wheelbase that is a considerable 240mm longer than that of the new Audi flagship, at 3470mm. Entry to the concept is via opposed doors that open to the front and the rear to reveal a generous aperture devoid of a traditional B-pillar. The lack of a traditional dashboard and steering wheel frees up space in the front of the cabin, which features two individual seats that can be adjusted by 500mm back and forth and swivel through up to 15deg to ease entry and exit. The rear is equipped with a bench-style seat shaped to accept two occupants. Picking up on the autonomous qualities of the new concept, Audi’s design team has taken further licence by equipping the Aicon with a mini drone. It acts as a so-called “light companion” when passenger’s exit the interior in the dark by illuminating their path. Power for the big Audi concept is delivered by four electric motors. The brushless asynchronous units are mounted low down at each corner where they provide direct drive to each of the Aicon’s 26in wheels and the basis for electronically controlled variable four-wheel drive. In what Ingolstadt insiders suggest hints to the power output of Audi’s first dedicated electric powered model, the upcoming production version of the earlier e-tron quattro concept due out in 2018, Audi quotes a combined output of 350bhp and 299lb ft.
Energy for the electric motors is stowed in what Audi describes as a solid body battery. Mounted within the Aicon’s flat floor structure, it is claimed to provide more than double the energy capacity of a similarly sized lithium ion battery used today. While theoretical in nature, Audi’s vision for an autonomous driving car of the future boasts a zero-emission range of up to 497 miles. Recharging is via an 800V system, with the battery capable of being charged to 80% capacity in less than 30 minutes. As well as supporting conventional plug-in charging, the Audi concept is also equipped with an inductive system that allows it to pull up to a charging station on its own and charge its batteries without the need for a driver. Audi is showing us a future where driving for pleasure simply doesn't exist. ... is the ride. With no need to make autonomous cars feel 'sporty', the will be no excuse not to give them a magic-carpet ride. Well if this is what motoring is going to be like safer no real need to drive more tech inside connecting us all who gives a stuff what it looks like on the outside? !